Samarkand and Bukhara in just TWO days! An excellent offer for those who want to visit the two most historically significant cities of Uzbekistan having only two spare days. Thanks to included tickets for the high-speed trains in the direction of Tashkent - Samarkand - Bukhara - Tashkent, and to the experienced guides in each city, you will easily manage to visit all the most important sights of these magical cities. End of tour: Tashkent	 Tour category: Historical tours, Sightseeing tours, City tours. Duration: 2 days / 1 nights Сities: Tashkent, Samarkand, Bukhara. 07.30 Departure to the city of Samarkand on the high-speed train "Afrosiab". Tickets are included in the tour. Samarkand is often called the Rome of the East. 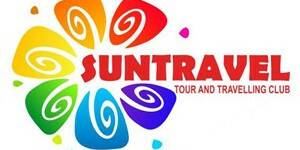 10.08 Arrival at Samarkand, at the station you will be met by a guide and driver with a "SUN TRAVEL" sign. Gur-Emir Mausoleum - the tomb of Amir Timur and Timurids. 09.00 Transfer to the railway station of Samarkand. 09.43 Departure to the city of Bukhara on the high-speed train Afrosiab. Tickets are included in the tour price. 11.15 Arrival at Bukhara, at the station you will be met by a driver with a "SUN TRAVEL" sign. Accommodation in a hotel in Bukhara. 04.00 Transfer to the railway station of Bukhara - Kagan. 05.00 Departure to the city of Tashkent on a high-speed train "Afrosiab". Tickets are included in the tour price. 1. Accommodation in rooms for two. 2. Meals: standard breakfast at the hotel. 3. Railway tickets for the high-speed trains: Tashkent-Samarkand-Bukhara-Tashkent (economy class). 4. Transportation along the tour. 5. Tour guide services (language on request). 6. Entrance fees to monuments according to the program. 7. Taxes as of today. High-speed Afrosiab trains, personal car with a driver in each city. 3. Individual expenses such as tips, drinks, telephone / fax, etc. 5. Transportation of baggage at the airport and hotels.